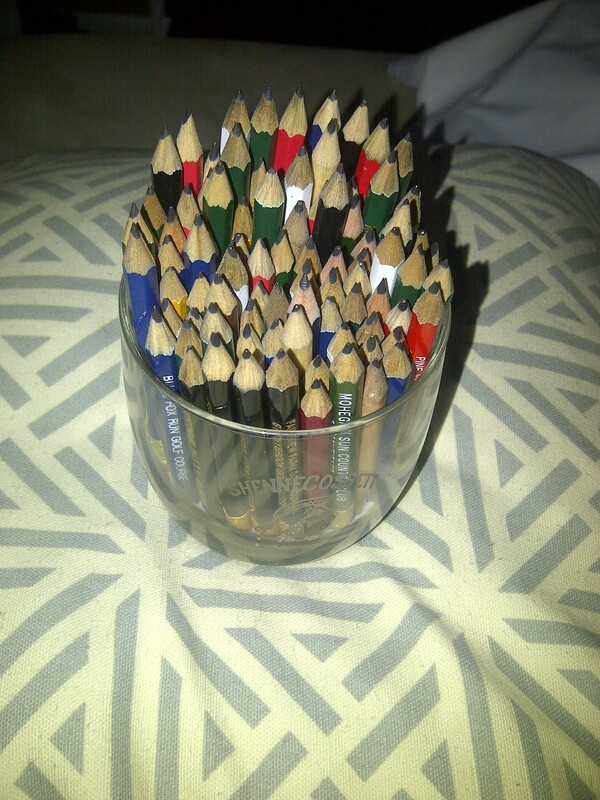 Forgot to mention I collected a pencil from every course. Shennecossett had blank pencils, BUT I told my story to the guys I was playing with and at the crossover to the water holes one of the guys said he was gonna run into his beautiful home on the 17th green to grab beers. When he returned he sure enough had a 12 pack AND a Shennecossett engraved rocks glass. THANKS MARTY! !